The machines in the Compacta S series are built following high quality criteria and construction specifications, improved and thought-out through time. The high degree of satisfaction received worldwide by the Compacta S makes these machines the preference of final users, which entrust their products to horizontal wrapping technology using stretch film. Thanks to the different diameters of the rotating ring, the range of these Robopac machines completely covers many product categories with the most varied shapes and sizes. Compacta S is a machine that combines construction strength with top-level automatic work operations. 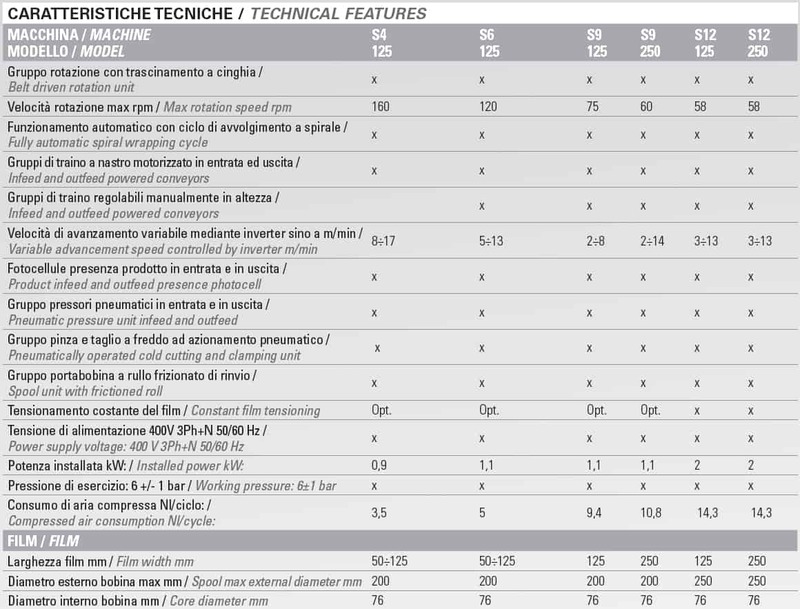 The versatility of use and user friendliness of Compacta S, combined with strength that distinguishes them, also places the Robopac product at the top of its category. 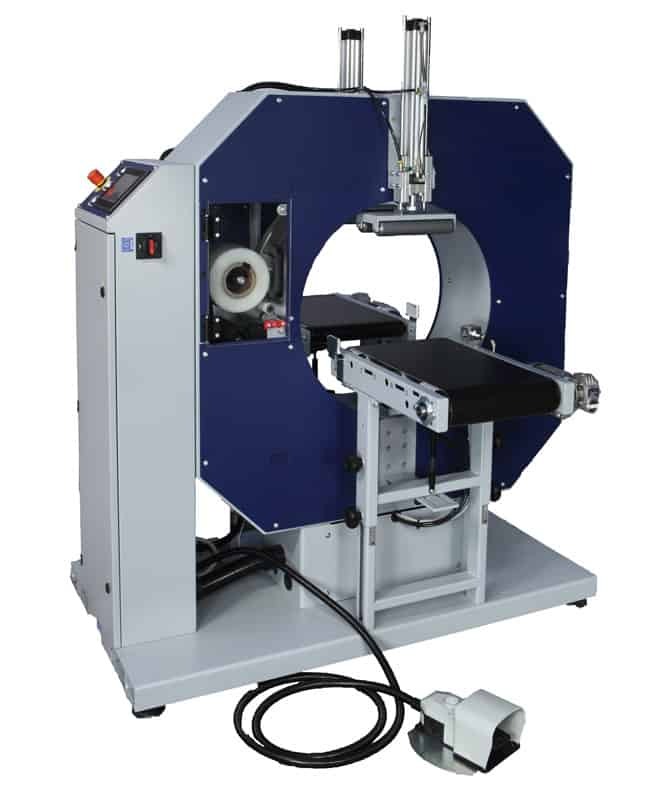 The pneumatic drive presses with automatic settling ensure correct stabilisation of the product during strapping. The extension of the run can be adjusted manually to ease positioning of the presses on the products with different heights. Al Thika Packaging is the exclusive distributor of Robopac company in the Middle East. Since 1994 Al Thika has been supplying horizontal & vertical Stretch wrapping machines for food, beverages & non-food industries in Dubai, Abu Dhabi, Sharjah, Fujairah, Ras Al Khaimah, Ajman, Umm Al Quwain, Al Ain – UAE, Saudi Arabia, Bahrain, Oman and the many other Gulf countries. The wrapping program can be started in full safety thanks to the pedal start system. As soon as the outfeed pressure platen lowers, the operator can release the pedal to move and retrieve the next product to be wrapped. This system guarantees an automatic wrapping process where the operator must only position the product and start the cycle.